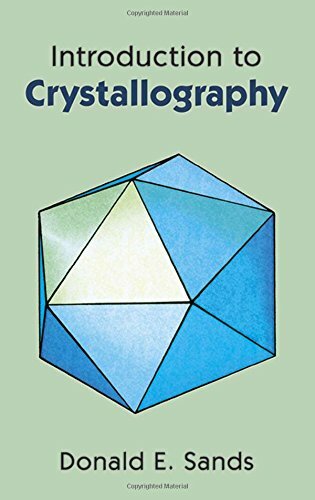 Introduction to crystallography / Donald E. Sands. Originally published: Reading, Mass. : W.A. Benjamin, 1969 (corrected printing 1975) (Physical chemistry monograph series). 10^aIntroduction to crystallography /^cDonald E. Sands. ^axii, 165 p. :^bill. ;^c22 cm. ^aOriginally published: Reading, Mass. : W.A. Benjamin, 1969 (corrected printing 1975) (Physical chemistry monograph series).